If you’ve been out of the news loop over the weekend you may have missed the long-awaited declassification of the FBI’s application for a FISA warrant to conduct surveillance on former Trump campaign advisor Carter Page. The heavily censored document was unveiled in a rare Saturday afternoon information dump and left both sides scrambling to mine the report for favorable talking points. The declassified application does not answer all questions about the FBI surveillance of Page. 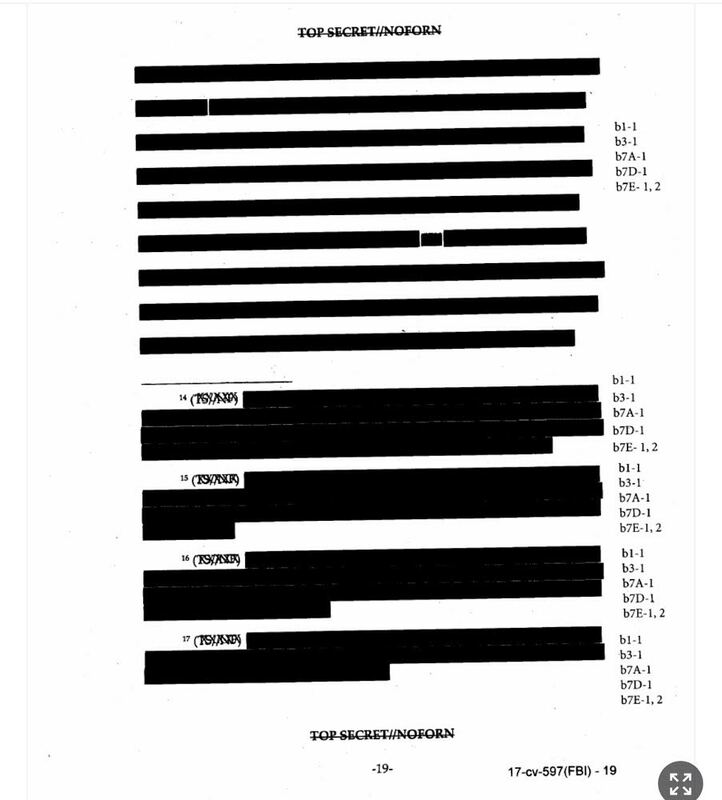 Entire pages are blacked out by the DOJ censor and unreadable, giving the impression that the agency declassified only the portions of the application that had already been reported in the media. Nevertheless, there are four key takeaways from the portions of the document that are legible. The application makes it abundantly clear that the intelligence obtained by Steele was political research. Nunes supporters are reduced to claiming that the memo was correct because the FISA application did not name the DNC, Hillary Clinton or Glenn Simpson, the principal of Fusion GPS and the “US person” who hired Steele even though this was not Nunes’s original claim. This is a classic logical fallacy called moving the goalposts. Even without specifically naming Clinton, it would be obvious to anyone with a minimal knowledge of US politics that the most likely organization to hire someone to discredit Donald Trump would be the Democrats. Republicans conceded the existence of the footnote shortly after the release of the memo, but now some are belaboring the point once again. 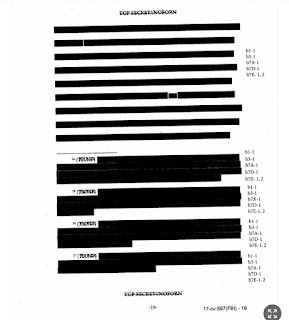 The unredacted portions of the application show that the FBI gave far more details about the origins of Steele’s intelligence than Nunes led Americans to believe. Steele was suspended and then terminated as an FBI source for what the FBI defines as the most serious of violations—an unauthorized disclosure to the media of his relationship with the FBI in an October 30, 2016, Mother Jones article by David Corn. Steele should have been terminated for his previous undisclosed contacts with Yahoo and other outlets in September—before the Page application was submitted to the FISC in October—but Steele improperly concealed from and lied to the FBI about those contacts. The memo claimed that the FBI should have terminated Steele in September for unauthorized media contacts, but, by Nunes’s own admission, Steele concealed the transgression from the FBI. Logically, the FBI could not fire Steele if they didn’t yet know that he had broken the rule. That the FBI did later fire Steele is a point in favor of the FBI’s credibility. The second major point made by the FISA application is that it undercuts President Trump’s claims that the FBI had “wiretapped” Trump Tower and members of his campaign. The exact date of the FISA application was redacted, but the “October 2016” is visible. This is important because Carter Page stepped down from his role as a foreign policy advisor for the Trump campaign in September 2016. Page was not a member of the Trump campaign when he was under FBI surveillance. Page was also the subject of an earlier FISA warrant in 2014 based on his contacts with Russian intelligence officials. The earlier surveillance was ended prior to Page joining the Trump campaign in March 2016. Third, the Nunes claims that the FISA warrant was based solely on Steele’s intelligence remain unverified. In particular, Nunes cites a September 23, 2016 article in Yahoo News that was sourced back to Christopher Steele, the same informant who provided information directly to the FBI. This claim is impossible to verify because of the large amount of information that is still classified. The prominent position of Steele as “Source # 1” does lend credence to the argument that his information was very important, but it is impossible to know what other information was provided that has not been declassified. The picture above is a screenshot of page 19 of the application and gives an idea of how much information the FBI has held back. The fourth point is the warrant was not a partisan hit job. The four FISA judges who signed off on the warrant were all appointed to the federal judiciary by Republican presidents. Two were George W. Bush appointees, one was appointed by George H.W. Bush and one dated back to the Reagan Administration. All four were appointed to the FISA court by Chief Justice John Roberts, also a Republican and a conservative. The FISA application leaves a lot of unknowns, but it does answer a few questions. Unfortunately for President Trump and Devin Nunes, the answers given show that Republican claims about the FBI’s corruption are not on the level.